Vitamin E is a natural antioxidant that fights the damages caused by free radicals, and Solaray's Bio E with Selenium is a high quality supplement that offers more benefits than the average vitamin E supplement. 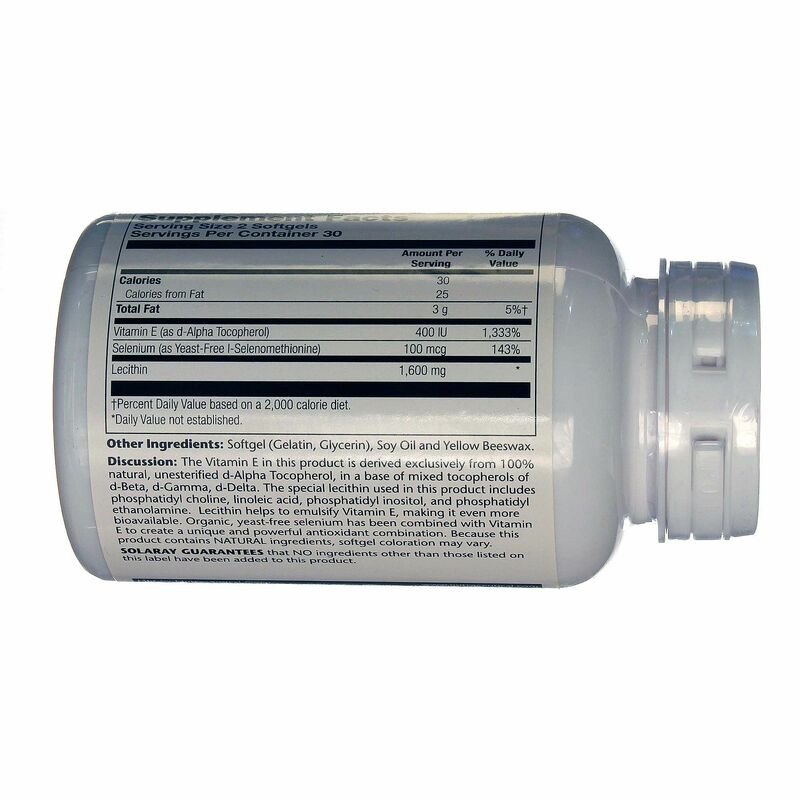 Bio E with Selenium is made from 100 percent natural, unesterified d-altha-tocopherol. 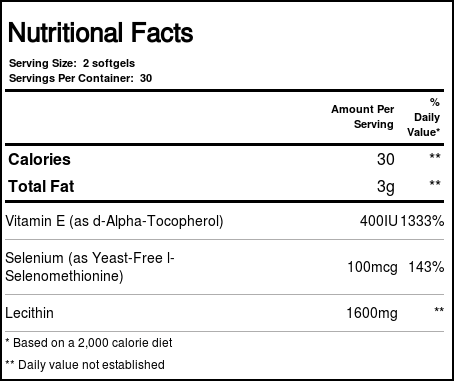 It contains a heaping helping of soy lecithin in every serving too, which means that Bio E with Selenium not only fight free radicals with vitamin E but that it also helps improve memory and increase cognitive capacity. 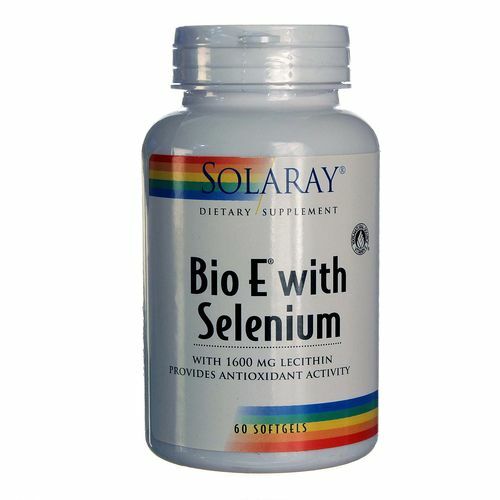 Each serving of Bio E with Selenium also has 100 mcg of selenium to help with the bioavailability of the vitamin E.
Order your bottle of Bio E with Selenium from eVitamins today! 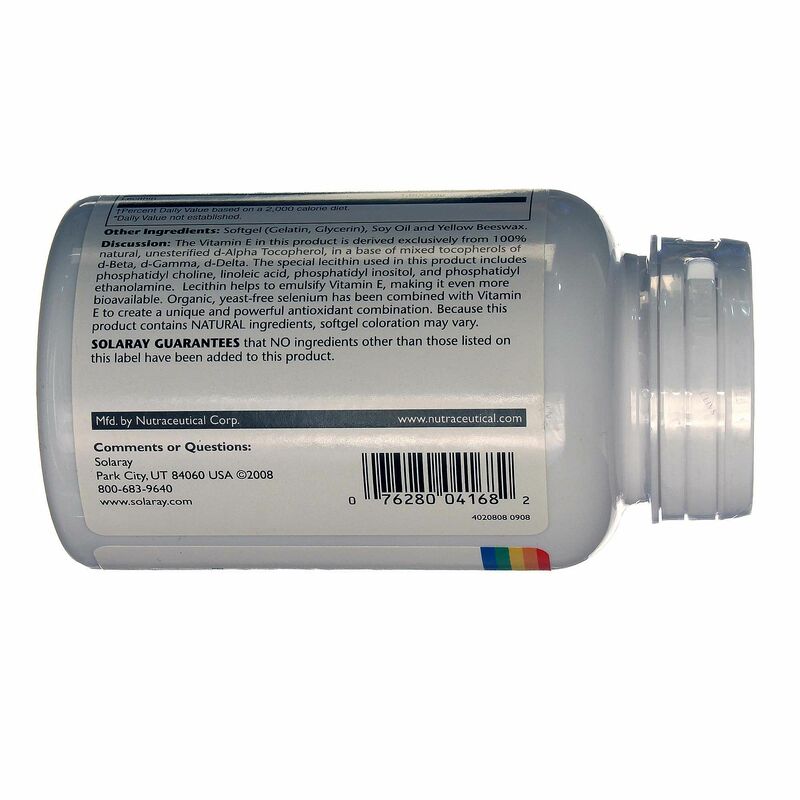 注意事项: Solaray Guarantees that no ingredients other than those listed on this label have been added to this product. Store in a cool, dry place. 推荐用法: Use only as directed. 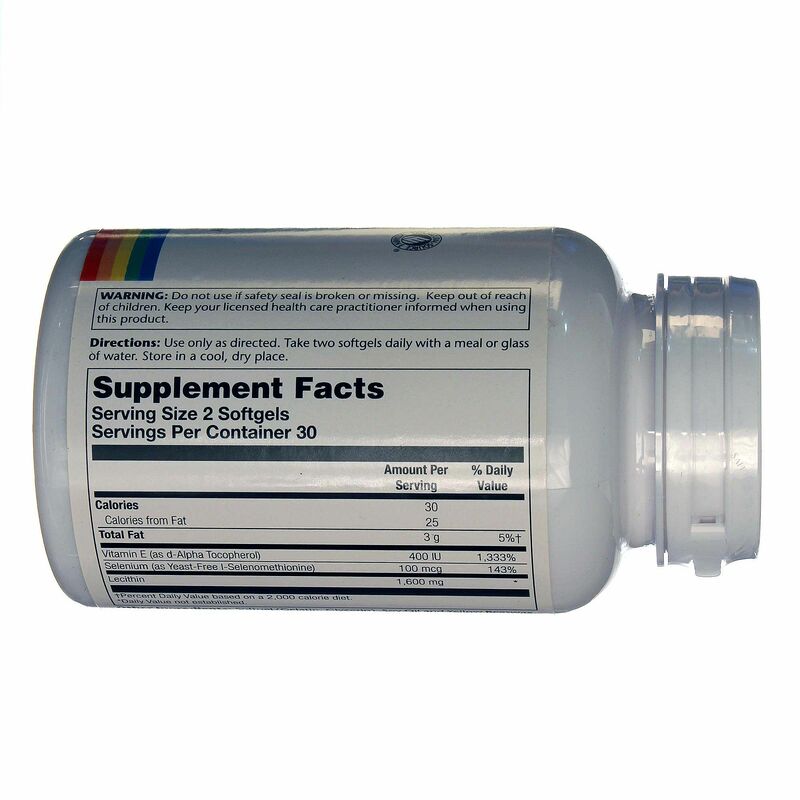 Take one to two softgels daily, preferably with an evening meal.